Registration is now open for the annual meeting of the Massachusetts Newspaper Publishers Association on Thursday, Dec. 1, 2011, at Anthony’s Pier Four in Boston. A registration form is available by clicking here: 2011 MNPA Registration Form. 10 a.m. Annual business meeting and election of 2012 officers and executive board. 12:30 p.m. 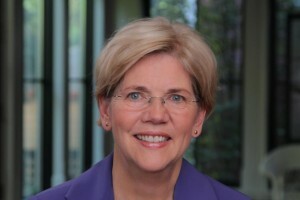 Luncheon and keynote featuring Elizabeth Warren. If mailing your registration without the form, please indicate the name of each registrant and the registrant’s choice of luncheon entrée: Chicken Chausseur or Broiled Scrod. If you have any questions about the event, please address them to MNPA Executive Director Robert Ambrogi, (978) 546-3400 or info@masspublishers.org. Registration deadline is Wednesday, November 23. We look forward to seeing you on Dec. 1. Block out your calendars for the MNPA’s annual meeting and luncheon on Thursday, Dec. 1, 2011, at Anthony’s Pier Four in Boston. The luncheon offers an opportunity to meet with newspaper publishers, editors, reporters and business staff from throughout Massachusetts. The luncheon begins with a reception at noon. Earlier in the day, at 10 a.m., the MNPA will hold its annual business meeting and election of officers and members. At 11 a.m., there will be a panel discussion on a timely topic of interest. Registration materials will be available in the fall. Watch this site for further information. Meanwhile, if you have any questions about the event, please address them to MNPA Executive Director Robert Ambrogi, (978) 546-3400 or info@masspublishers.org. The Massachusetts Newspaper Publishers Association has joined with Harvard Law School’s Cyberlaw Clinic, the Citizen Media Law Project and a coalition of New England media and advocacy organizations to file an amicus curiae brief to the Massachusetts Supreme Judicial Court seeking to unseal inquest documents in the Amy Bishop case. After a Superior Court judge refused the Boston Globe’s request to unseal the documents, the newspaper filed this appeal. Bishop was a professor at the University of Alabama who allegedly shot and kiled three of her colleagues during a faculty meeting in 2010. The shooting sparked a new inquiry by prosecutors in Massachusetts into the 1986 fatal shooting of Bishop’s brother Seth. The Norfolk County district attorney initiated an inquest to investigate the shooting, which resulted in a grand jury issuing an indictment against Bishop for first-degree murder. After the inquest was concluded, the Globe sought release of the inquest transcript and report. The Superior Court denied the request. A more detailed description of the case and the legal issues it involves is available from the Citizen Media Law Project. A PDF copy of the brief is available for download.